Earlier this year, Vicky Bell – Assistant Manager at our Norwich Travel Agents in store at Jarrolds – took a trip to southern America. She visited Memphis, New Orleans and Nashville on a magical, musical tour. The flight was in economy with Virgin and was quite comfortable, despite me having the middle seat. The food served throughout was of a good standard and we were kept entertained by a good selection of up-to-date films, plus a lot of old classics. Drinks were served a few times during the flight and also given when we requested for them, free of charge. 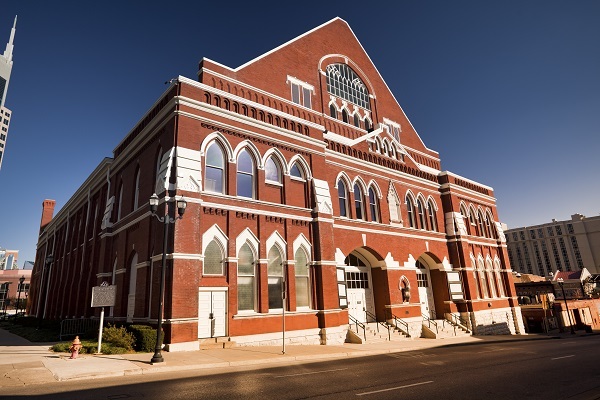 It’s a very big hotel, just outside of the main city centre, so you need to use a local taxi to get to the main sights of Nashville. The rooms were huge, with very big bathrooms and beds that you needed steps to climb into. It was very plush and extremely comfortable. The hotel is situated on the main freeway into Nashville, so despite being on a very high floor, it was incredibly noisy and could’ve done with some sound proofing. The windows were floor-to-ceiling and provided incredible views over the freeway. Breakfast was a very big typical American style buffet with everything you could wish for. The staff were very welcoming and pleasant. Again, this hotel is situated just outside the main centre and, so taxis are advisable. It’s situated in quite an industrial area which isn’t very pleasant to walk through. However, like the Clarion, inside the hotel, it is very plush and modern with huge bedrooms and, due to its position, quite a bit quieter. There was a bit of maintenance going on here but this didn’t affect our stay at all. Again, breakfast was a very big all-you-could-want buffet and the food was delicious. Once more, this hotel is slightly out of the city centre. Although it is possible to walk to the French Quarter from here, it’s a good half an hour walk on top of all the walking you’ll do when you get there. For this reason, taxis are a great option. However, the hotel is just what I expected from a New Orleans city hotel; a very relaxed feel, a nice pool with gardens, and lovely breakfast room. It is pretty big and split into two sections so it does take you a while to find your way around, especially to your room as the corridors go on forever and twist and turn. The rooms are really spacious, with a small kitchen area, bathroom, a huge bedroom with seating area, and a very generous wardrobe. My view from the window was a brick wall, but we didn’t spend enough time here for this to be a problem. Breakfast was as before, although everything here was served on polystyrene plates with plastic knives and forks – I think we were the only ones who found this a bit odd. 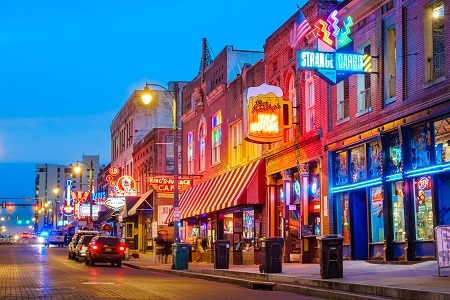 Memphis – Rock ‘n’ Roll Soul Museum, Sun Studios, Elvis’s Graceland. En-route to New Orleans, we stopped off in Indianola to visit the BB King Museum and Stax. New Orleans – jazz cruise on the Mississippi with dinner and drinks included; lunch on board the American Queen, the largest river cruiser built; evening walking tour of the French quarter; and a swamp tour on the Bayou. The best part for me was our stay in Nashville. I loved the whole scene here with the restaurants and bars playing music. Everywhere you go there’s music, with proper American country bands playing live. It was great to mix with the locals and appreciate what they all love. I loved the visit to the historic Studio B, where all the great country stars and Elvis Presley recorded most of their music. The tour was lively and animated and made you feel very nostalgic to think that so many famous songs were recorded where we stood. It’s a place that I will remember for a very long time. The tour was incredible and we had so much packed in but at no time did it feel rushed like some tours can. We were allowed to spend as much time in places as we wanted to. The only thing Newmarket could’ve improved upon was using hotels where you didn’t have to walk as far into the main city centre. But that’s just a minor detail. I would definitely recommend this trip to anyone, even those who aren’t really country or jazz music fans. Every part of the tour was interesting; it was great to learn the history of music and to understand how huge country music is out in the USA. Despite having a lot packed in the tour, it wasn’t rushed and everything was done at quite a laid back pace. The coaches that Newmarket use on these tours are incredibly plush and comfortable and come with free Wi-Fi for when you want to check yourself into all of these places. The tour guides in every city are very knowledgeable, fun-loving and are great guides. The trip to Graceland was one I will never forget. Even those who are not fans will find this a fascinating place and I think anyone would feel very privileged to have seen a glimpse into the glamorous and exciting world of one of the greatest rock ‘n' roll heroes of our time. The tour in New Orleans to the Bayou is an added extra excursion if you want to pay for it. 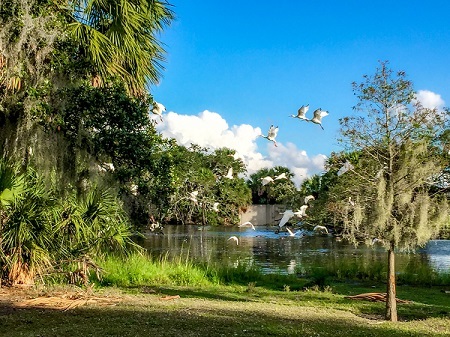 I would fully recommend the additional cost as the area is a beautiful natural wetland full of alligators and all sorts of bird and wildlife. Even if you are not a nature lover, you will love the serenity and it’s so easy to forget that it is only a short ride away from the centre of New Orleans. If you would like to see these great cities on the banks of the Mississippi on a tour similar to Vicky’s, we can help you plan this action-packed holiday. Visit our travel agents in Bournemouth, Westbourne, Dorchester or Lymington, or any of the stores we have across East Anglia.